Wedding 411 and The River House at Easton Club are excited to bring one deserving couple the opportunity of a lifetime. Are you getting married? Do you know a deserving couple who is getting hitched? Send them this way to enter to win the wedding of their dreams from a team of the best vendors Maryland has to offer. Wedding 411 will choose one worthy couple to win the ultimate wedding valued at over $65,000. Nominations are received from November 28, 2013 to January 31, 2014. The judges are searching for a captivating and exceptional story to narrow the search to 3 couples to open final voting to the public before a winning couple is announced. Party Plus is proud to have been selected to participate among the top vendors in the state for this exciting event! 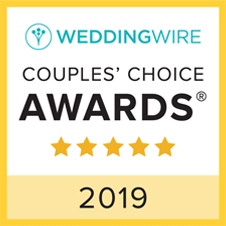 Once the lucky couple is announced, it’ll be time to vote for the top vendors in each category. After everything has been planned to a tee, the winning couple will be married on Thursday, May 1st with 100 of their closest friends and family at the River House at Easton Club in Easton, Md. on the Eastern Shore of Maryland. We are excited to watch this contest unfold and can’t wait for developments as they happen. Be sure to follow us on Facebook and twitter so we can keep you posted as announcements are made!